The rain has definitely arrived. It is messy out there . . . and poor Tino is less than thrilled with a wet belly and paws (there is only so much a rain coat can cover). 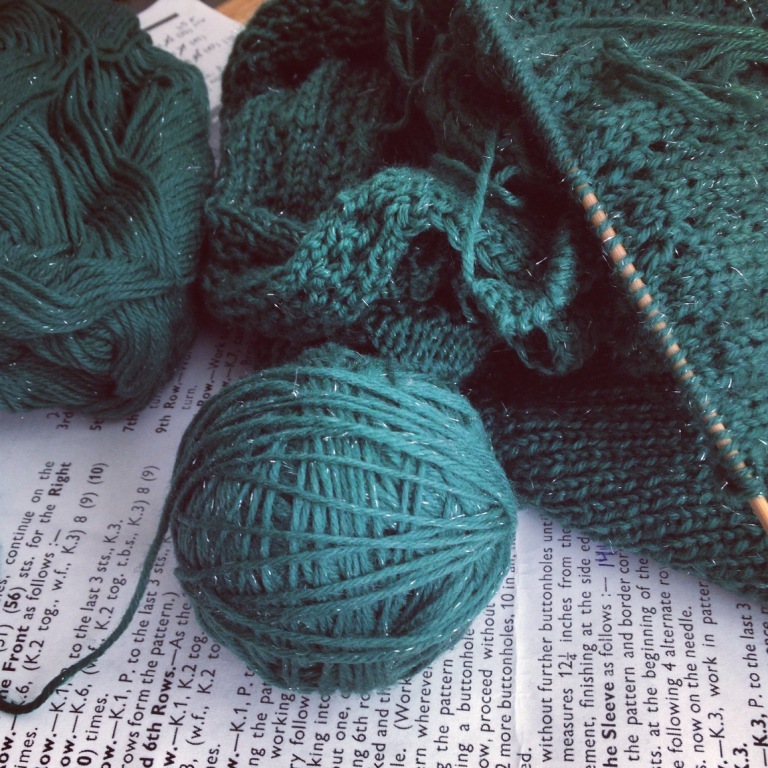 Terrible to be out in, but perfect weather for being indoors with a pair of knitting needles and a cuddly chihuahua. 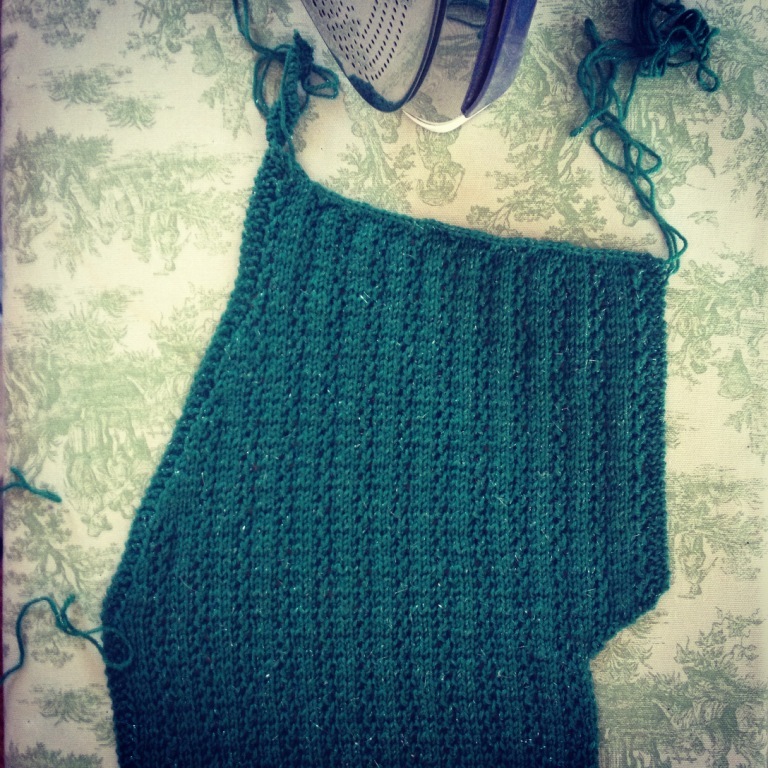 I did not get very far with this project in New York, but since I was in the mood for knitting last week, out it came. Once I started, I just couldn't stop! 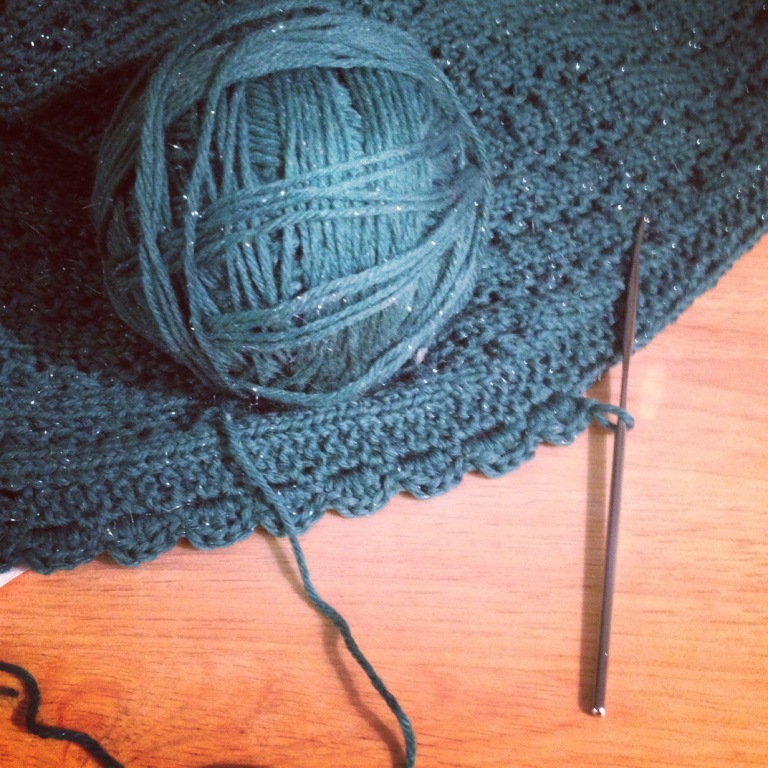 I even had a chance to use my crochet hook. Now all I need is to find the perfect buttons . . .
Really pretty! 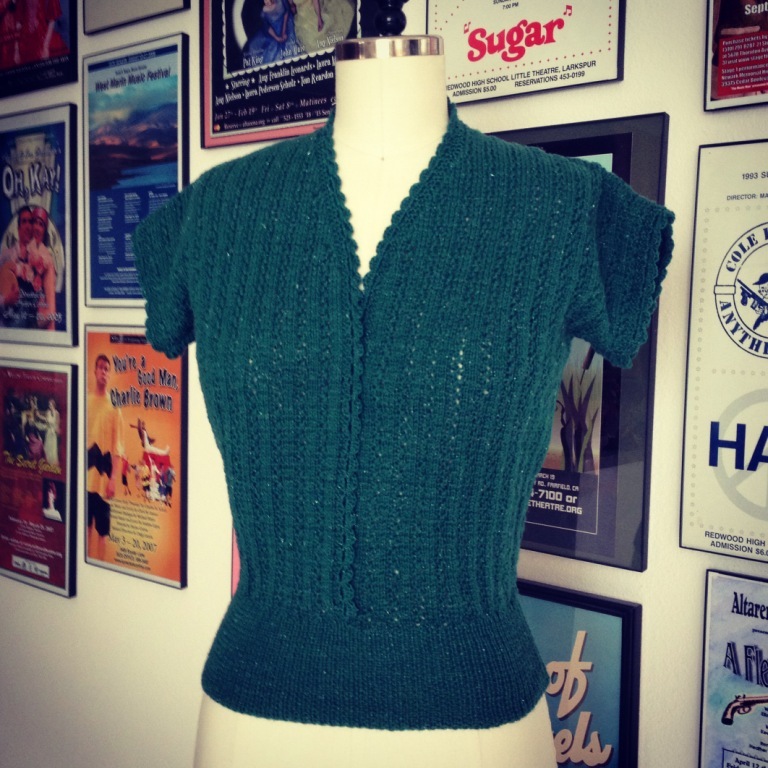 I like that it has the look of a cardigan, but the bottom will lay nicely since it's really a pullover. That's a very pretty cardi! Cosy and sophisticated at the same time. This is so very pretty, Laura Mae! The sparkly yarn is delicious! So gorgeous! 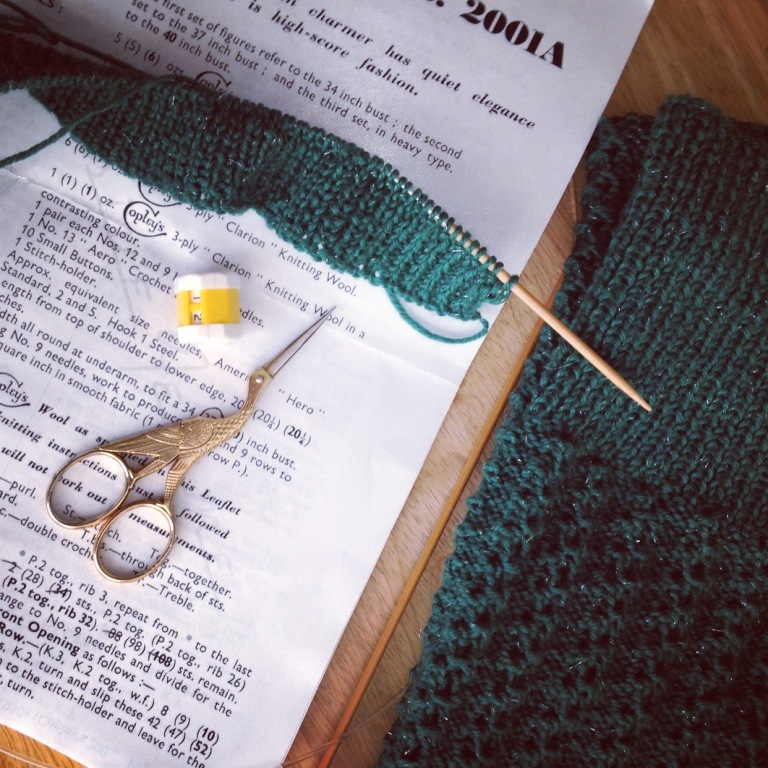 You're a quick knitter! beautifull and so quick made! It's lovely! What was the yarn you used? Oh my! This is kind of sultry for a sweater! I like it! Great color too! I only knit with vintage patterns. Its amazing how they still look so modern.Well done! Beautiful!! Can't wait to see it with buttons! Your posts are always inspiring and wonderful to read. I usually get them in the morning here in Australia and they are so nice to read before work and the distractions of office life. Thank you so much for sharing what you do - it's a lot of work that you put in to blogging and I for one am so grateful! PS I just saw the Jean Paul Gaultier exhibition in Melbourne which was totally amazing! Even if I am not a serious fan of his, the impact of his work on fashion has been amazing. And the collaborations with Madonna really interesting and cool to see on display with the "underwear as outerwear", retro chic etc - pushing forward the boundaries and presenting alternative views on how to be a feminist and feminine and powerful at the same time. What would the 80s have been without Madonna? (Not quite Charles James but really captivating and creative all the same). Beautiful pattern and wool colour. 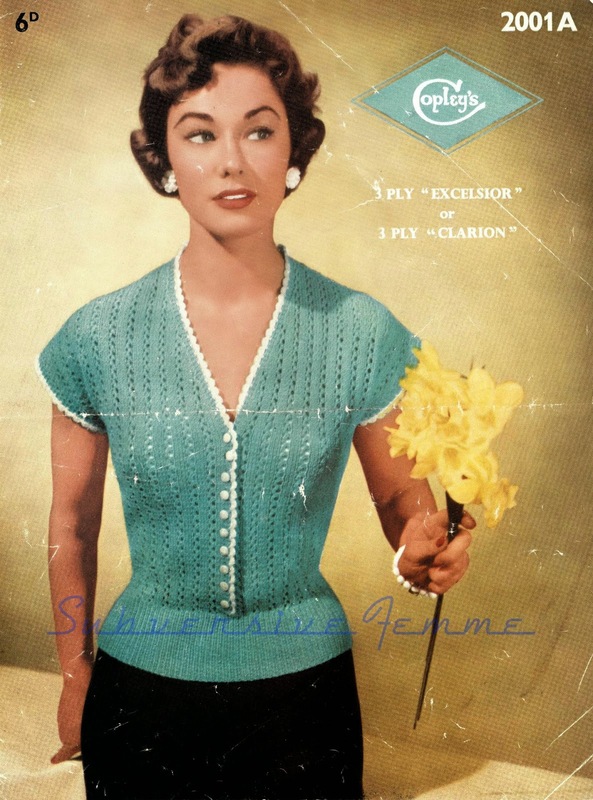 Earlier this year a dear online friend and talented knitter made me a classic 50s style shrug in a strikingly similar hue and it's been my go-to knit all fall. 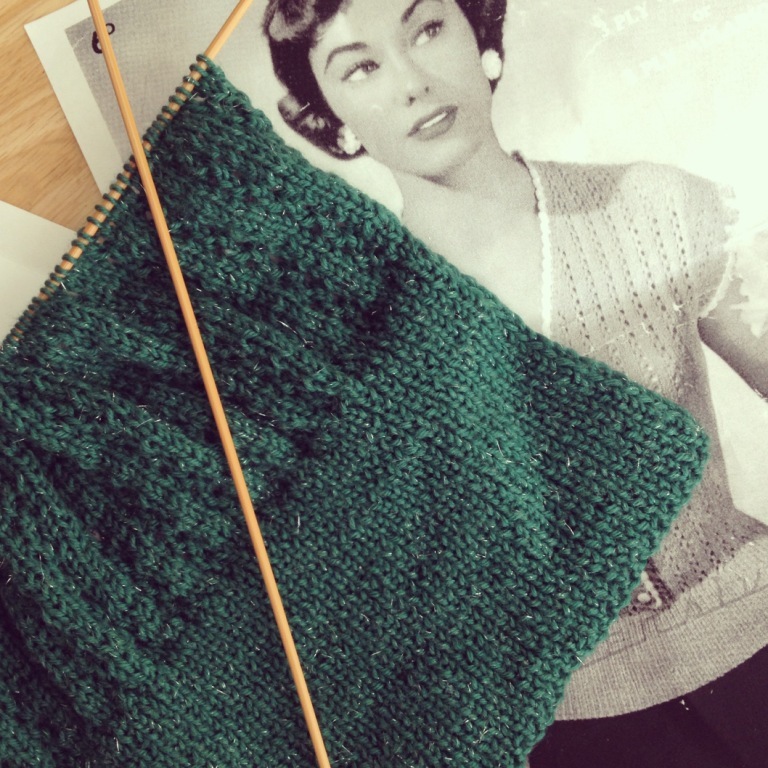 Lovely pattern, your knit is looking great.